Human life is akin to swimming through a sea or ocean. There are, of course, brave souls who, overcoming storms and tempests, cross the sea alone on a yacht. But, as a rule, people who cross the ocean come together on a ship moving from one bank to another. The Church is this ship in which Christians are moving together along to the path to salvation. And common prayer is one of the most powerful means for advancing on this path. 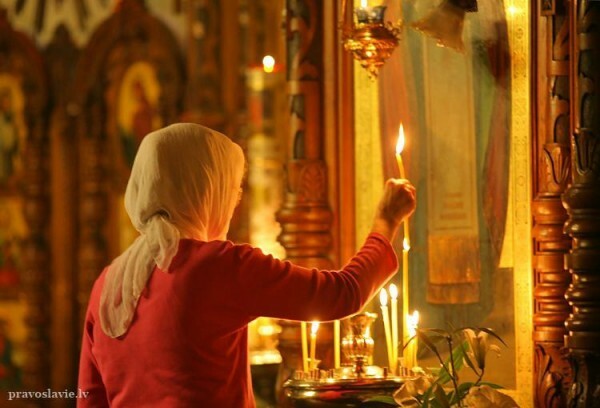 As the renowned twentieth-century theologian Archpriest Georges Florovsky put it, a Christian never prays in solitude: even if he turns to God in his room, closing his door behind him, he still prays as a member of the church community. We are not isolated individuals; we are members of the Church, members of a single body. And we are saved not in isolation, but along with others, with our brothers and sisters. Therefore it is very important that everyone be experienced not only in individual prayer, but also in church prayer, along with other people. Church prayer has a special significance and meaning. Many of us know by experience how difficult it can be to immerse ourselves into the lines of prayer when alone. But when we come to church, we are immersed in the common prayer of many people, and this prayer takes one into certain depths, and our prayer merges with that of others. Much in church, and above all the divine services, encourages prayer. The texts of the divine services used by the Orthodox Church are unusually rich in content; great wisdom is hidden in them. 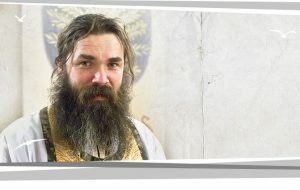 But there is an obstacle faced by many who come to the Church [in Russia]: Church Slavonic. 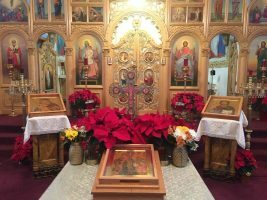 There is much debate today about whether to keep the Slavonic in the divine services or to move to Russian. It seems to me that if our divine services were wholly translated into Russian, that a great deal would be lost. Church Slavonic possesses great power, and experience shows that it is not so difficult, that it is not so very different from Russian. One simply needs to expend some effort, such as one would to learn a language or a science, such as mathematics or physics. Thus, to learn to pray in church, one needs to make some effort to go to church more often, perhaps, and to buy the basic divine service books and, in one’s free time, to study them. Then all the riches of the liturgical language and of the texts of the divine services will unfold before you, and you will see that the divine services are a whole school that teaches you not only prayer, but also the spiritual life.